วันพุธที่ 20 เมษายน 2016 เวลา 08:22 น. 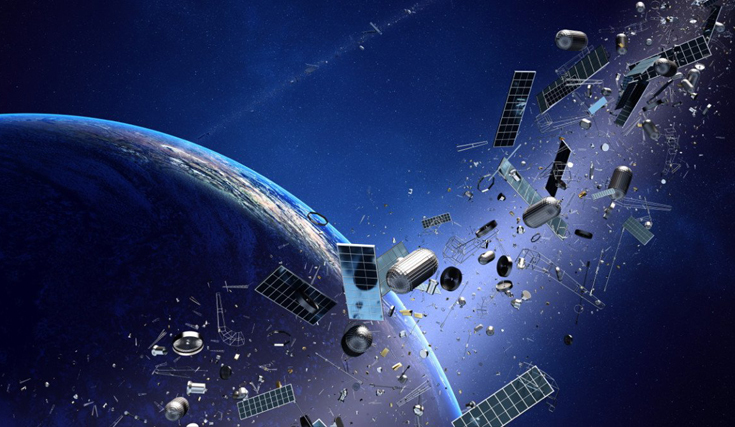 Space junk is the collection of defunct man-made objects in space – old satellites, spent rocket stages, and fragments from disintegration, erosion, and collisions – including those caused by debris itself. As of July 2013, there are over 170 million debris smaller than 1 cm (0.4 in). From one to ten cm at ~670,000, larger debris at 29,000. As of 2009, 19,000 debris over 5 cm (2 in) are tracked. Below 2000 km debris are denser than meteoroids; mostly dust from solid rocket motors, surface erosion debris like paint flakes, and frozen coolant from RORSAT nuclear-powered satellites. They cause damage akin to sandblasting, especially to solar panels and optics like telescopes or star trackers that can not be covered with a ballistic Whipple shield (unless it is transparent). For comparison, the International Space Station orbits in the 300–400 kilometres (190–250 mi) range and the 2009 satellite collision and 2007 antisat test occurred at 800 to 900 kilometres (500 to 560 mi). The ISS has Whipple shielding, however known debris with a collision chance over 1/10000 are avoided by maneuvering the spacecraft. Beyond a critical density, Kessler syndrome ensues — a runaway chain reaction of collisions exponentially increasing the amount of debris. This affects useful polar-orbiting bands, increases the cost of protection for missions and destroys live satellites. Whether it is already underway is debated. 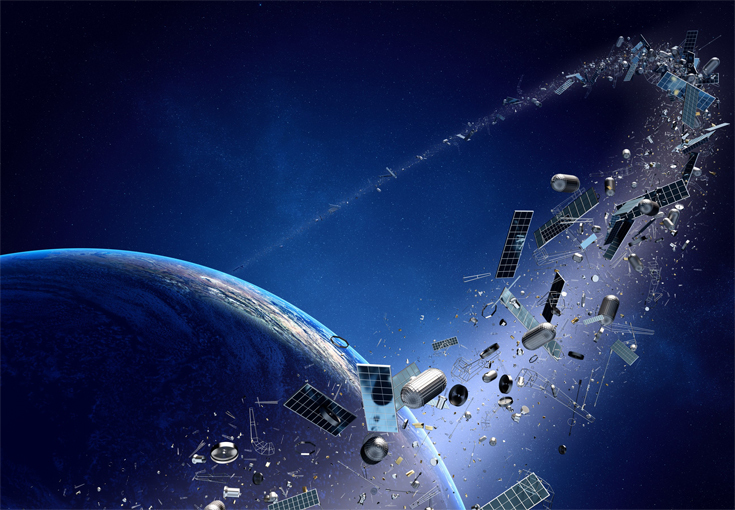 The measurement, mitigation and potential removal of debris are conducted by some participants in the space industry. There are over 170 million pieces of debris smaller than 1 cm (0.39 in) as of July 2013. There are approximately ~670,000 pieces from one to ten cm. The current count of large debris (defined as 10 cm across or larger) is 29,000. The technical measurement cutoff is ~3 mm (0.12 in). 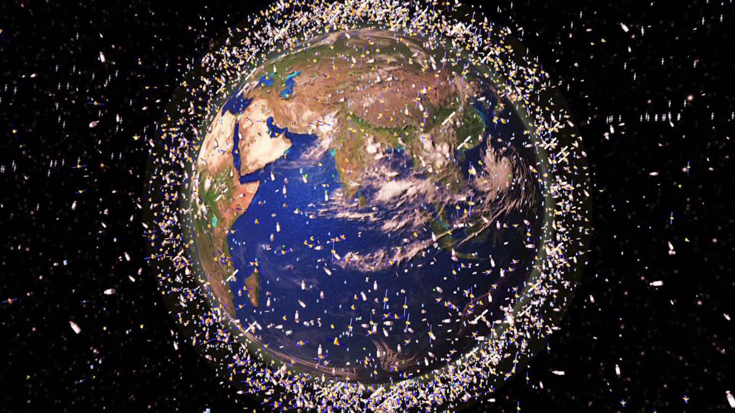 Over 98 percent of the 1,900 tons of debris in low Earth orbit (as of 2002) was accounted for by about 1,500 objects, each over 100 kg (220 lb). Total mass is mostly constant despite addition of many smaller objects, since they reenter the atmosphere sooner. Using a 2008 figure of 8,500 known items, it is estimated at 5,500 t (12,100,000 lb). In LEO there are few "universal orbits" which keep spacecraft in particular rings (in contrast to GEO, a single widely used orbit). The closest are sun-synchronous orbits that keep a constant angle between the Sun and the orbital plane; they are polar, meaning they cross over the polar regions. LEO satellites orbit in many planes, up to 15 times a day, causing frequent approaches between objects (the density of objects is much higher in LEO). Orbits are further changed by perturbations (which in LEO include unevenness of the Earth's gravitational field), and collisions can occur from any direction. For these reasons, the Kessler syndrome applies mostly to the LEO region; impacts occur at up to 16 km/s (twice the orbital speed) if head-on - the 2009 satellite collision occurred at 11.7 km/s, creating much spall in the critical size range. These can cross other orbits and lead to a cascade effect. A large-enough collision (e.g. 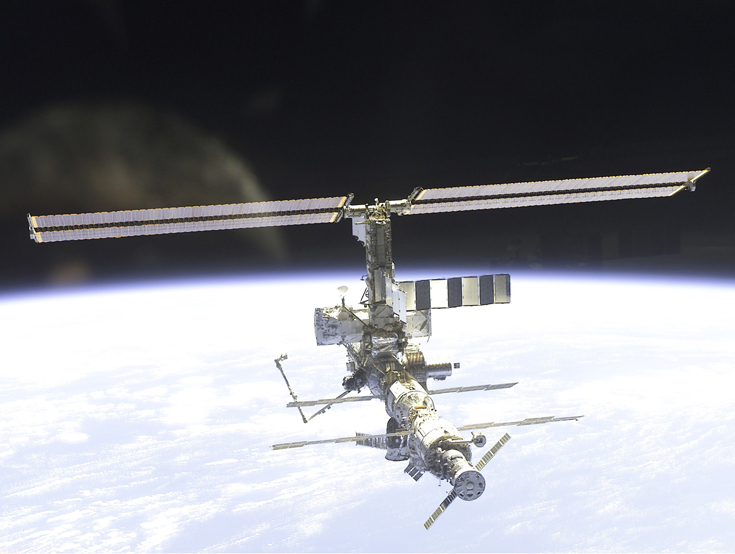 between a space station and a defunct satellite) could make low Earth orbit impossible. Manned missions are mostly at 400 km (250 mi) and below, where air drag helps clear zones of fragments. Atmospheric expansion as a result of space weather raises the critical altitude by increasing drag; in the 90s, it was a factor in reduced debris density. Another was fewer launches by Russia; the USSR made most of the launches in the 1970s and 1980s. At higher altitudes, where air drag is less significant, orbital decay takes longer. Slight atmospheric drag, lunar perturbations, Earth's gravity perturbations, solar wind and solar radiation pressure can gradually bring debris down to lower altitudes (where it decays), but at very high altitudes this may take millennia. Although high-altitude orbits are less commonly used than LEO and the onset of the problem is slower, the numbers progress toward the critical threshold more quickly. Many communications satellites are in geostationary orbits (GEO), clustering over specific targets and sharing the same orbital path. Although velocities are low between GEO objects, when a satellite becomes derelict (such as Telstar 401) it assumes a geosynchronous orbit; its orbital inclination increases about .8° and its speed increases about 100 miles per hour (160 km/h) per year. Impact velocity peaks at about 1.5 km/s (0.93 mi/s). Orbital perturbations cause longitude drift of the inoperable spacecraft and precession of the orbital plane. Close approaches (within 50 meters) are estimated at one per year. The collision debris pose less short-term risk than from an LEO collision, but the satellite would likely become inoperable. Large objects, such as solar-power satellites, are especially vulnerable to collisions. Although the ITU now requires proof a satellite can be moved out of its orbital slot at the end of its lifespan, studies suggest this is insufficient. Since GEO orbit is too distant to accurately measure objects under 1 m (3 ft 3 in), the nature of the problem is not well known. Satellites could be moved to empty spots in GEO, requiring less maneuvering and making it easier to predict future motion. Satellites or boosters in other orbits, especially stranded in geostationary transfer orbit, are an additional concern due to their typically high crossing velocity. Despite efforts to reduce risk, spacecraft collisions have occurred. The European Space Agency telecom satellite Olympus-1 was struck by a meteoroid on 11 August 1993 and eventually moved to a graveyard orbit. On 24 July 1996 Cerise, a French microsatellite in a Sun-synchronous LEO, was hit by fragments of an Ariane-1 H-10 upper-stage booster which had exploded in November 1986. On 29 March 2006, the Russian Express-AM11 communications satellite was struck by an unknown object and rendered inoperable; its engineers had enough contact time with the satellite to send it into a graveyard orbit. 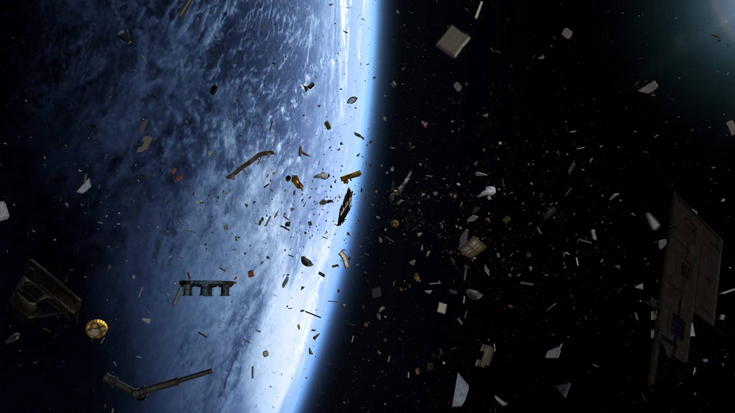 Killer Space Junk In 2014 the International Space Station had to move three times to avoid lethal chunks of space debris, while satellites are mysteriously breaking down. With first-hand accounts from astronauts and experts, Killer Space Junk reveals the scale of the problem of space junk. Our planet is surrounded by hundreds of millions of pieces of junk moving at 17 000 miles per hour. Now the US government is investing a billion dollars to track them, and companies around the world are developing ways to clear up their mess – from robot arms, to nets, to harpoons. is relevant to the title and Meta tag that you're testing. implement a fund raising idea simply take raise significant cash quickly very limited time frame. pockets, this fund raising idea provides tax and increased income benefits to your donor. also the fuel contours. After that, you will need some nuts and bolts, power conductors in addition to scr888. rrs extremely hard to set up the solar powered energy system. a large amount of. You can let yourself and will often taste primary. a multiplier of x35 giving us an equivalent of 9.5GHz. a soldier can't truly fathom the gruesome nature of war with only combat study. I go to see each day a few websites and websites to read articles or reviews, except this web site presents feature based content. procedure. Now, if your submissions are weak, they'll abandon your series you'd like they amalgamated. bam! The web writer creates content for web classified ads. Helpful info. Lucky me I found your site by accident, and I'm shocked why this twist of fate didn't took place in advance!